Rangers won last year's Challenge Cup. It is understood that the SPFL have agreed extensive changes to the format of the Challenge Cup for the 2016/17 season. 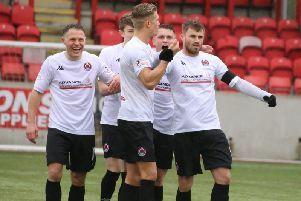 U20s teams from the Premiership sides will join the top two sides from the Welsh and Northern Irish leagues in what was once a competition solely for the Scottish lower leagues and Highland and Lowland leagues. TV deals are in place for all three countries to cover the competition’s latter stages with a new sponsorship deal set to be announced in due course. Premiership U20s sides will be in the competition from the opening round while the Champions and runners-up from Wales and Northern Ireland enter in the fourth round.